I’m an undergrad at a private college, doing really well and working hard to get into graduate school. I’m also very active with Chabad on campus. My Chabad rabbi has been bugging me to take off one semester to study in a yeshiva “some time before graduate school.” It’s still not clear to me what yeshiva is all about, and definitely not clear why I should take off in the middle of my studies to go there. Before there were universities, there were yeshivas. There were people who sat around in yeshivas the whole year, discussing and studying and discussing some more. And then there were people who worked the farm or traveled afar to sell their merchandise, and then turned up at the yeshiva whenever they had a chance, to join in the study and discussion. Jews were always a literate society, and every Jew was expected to be involved somehow in the learning going on in the community. 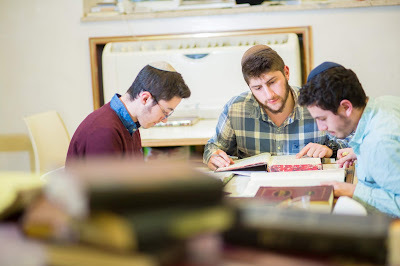 Traditionally, most of the study in yeshiva was in pairs—two companions poring over a text together, debating its details to achieve clarity and full knowledge. 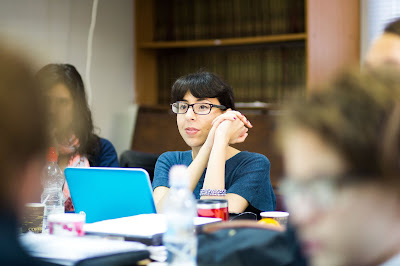 A lecture is generally full of lively give-and-take between students and teacher.Traditional Jewish learning is all about asking good questions, as well as collaborating with others to come up with solutions. That’s why a yeshiva, unlike a college library, is a rather noisy place. In many ways, the methodology of study in yeshiva is way ahead of that applied in most educational institutions. Today, there are all sorts of yeshivas. Some specialize exclusively in Talmud. 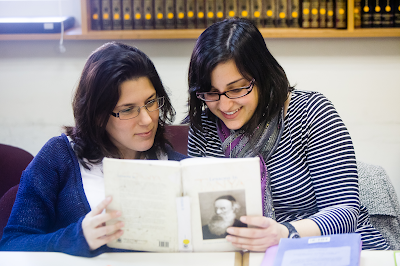 Others diversify, studying practical Jewish law, history, ethics, Kabbalah and chassidic thought, etc. 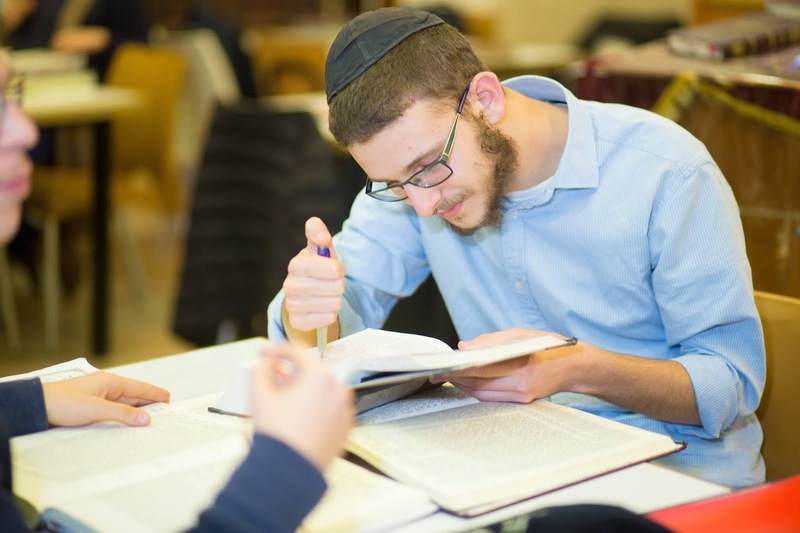 There are yeshivas dedicated to young men and women such as yourself, who just want to take off a semester to enrich their Jewish souls, and then get back home and finish their degree. 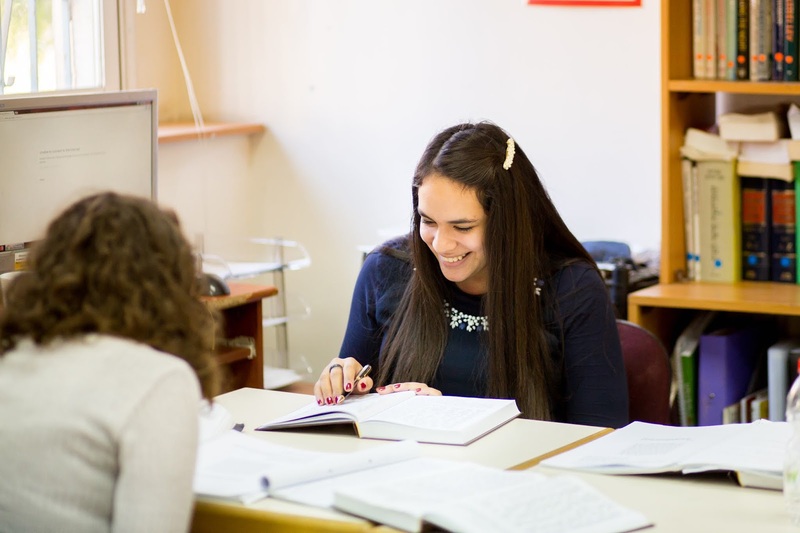 Chabad has a number of such yeshivas, and that’s the general thrust in these places—to give students a strong background, skills to build upon and the inspiration they need for a lifetime—and then get them back on track into their careers. Only that now, the bright lights of their Jewish soul are shining. This could be the biggest investment you’ll ever make. You’re bright enough to know that your future’s not made of money alone. The biggest investment you’ll ever make in your life is the person you’ll marry. Out of marriage comes a home, a family, eternity. You need to build a portfolio that can get you a great spouse and build a beautiful family. Add those yeshiva months to your portfolio, and you’ve moved up several notches on the Jewish marriage market. You can pick up the basic skills for a lifetime. One semester isn’t enough time to learn one-zillionth of what you want to know, but it’s long enough to get you some basic skills so you can continue back home. You’ll learn what books contain what, how to open a Talmud and get an idea of what’s flying in there, what sort of problems require an expert rabbi to solve, and how to dazzle your guests with some fascinating words of Torah at your Shabbat table. You’ll have some of the classic answers to fundamental questions under your belt, and you’ll know where to look for more. Perhaps even more important: You’ll have the tools, the learning and perhaps even the wisdom to help you get through those bumps and crashes so unavoidable in life. Get respect from your kids. You may not have even started thinking about it, but you likely will want to send your kids to a school where they’ll learn Torah part of the day. When they have a question or need help with homework, guess who they’re going to ask? And if they see their parents enjoy learning Torah, guess how that will influence their attitude to school? Cash in on your inheritance. Jews have been bantering about ideas in yeshivas for thousands of years. And Jews are bright people. Over these millennia of study, debate, creativity and more debate, we’ve built a ginormous structure, a palace of wisdom, ideas, practical guidance and approaches to knowledge. It’s a magnificent blend of harmonies, an intricate web of wisdom, an edifice of incomparable beauty—and the entire estate is yours, just waiting for you to come and pick up the keys. 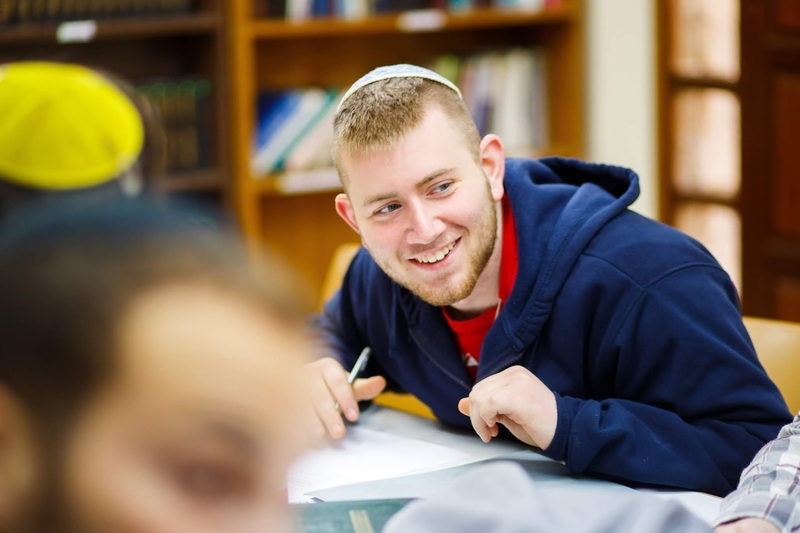 Without ever entering a yeshiva, you could still enter your estate. You might make it into the front, and even explore around a little. But if you want to feel at home in your rightful home, you need that immersive yeshiva experience. Get the blast of a lifetime. Imagine yourself in an environment where everyone around you is aflame with the fire of Torah. Torah is alive. You can dissect an animal, a philosopher, a poem or a book, an atomic particle or a mathematical equation—and all have one thing in common: when dissected, they are dead. No one comes out of a philosophy class singing and dancing. But they do when they dissect Torah. 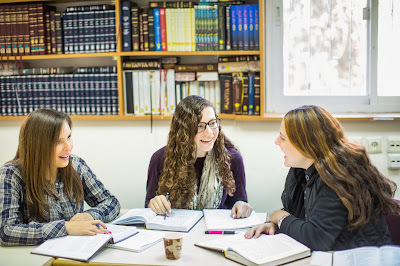 Because Torah is alive—every cell of it, no matter how you cut it. 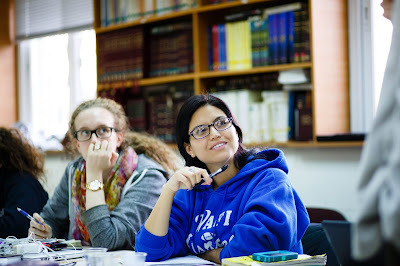 Imagine Shabbat in an environment where Torah is the driving force of life. You can’t. You have to be there. But years down the road, when you’re desperate for that inspiration to keep you going, you’ll close your eyes and see yourself back there again. From that experience you’ll draw eternal life.